You may have heard that Hall of Fame baseball player Tony Gwynn passed away from cancer at age 54 today. Well, let me tell you a little bit about Tony Gwynn. Coming out of college, Tony Gwynn was drafted by both the San Diego Padres of Major League Baseball and the San Diego Clippers of the National Basketball Association. He chose baseball, and went on to have one of the greatest careers in the history of the game. Tony Gwynn was the greatest hitter in the modern era of Major League Baseball. He won eight batting titles (second only to Ty Cobb), had 3,141 hits over his career and retired with a .338 batting average, the highest of any player since World War II (and 17th all-time). 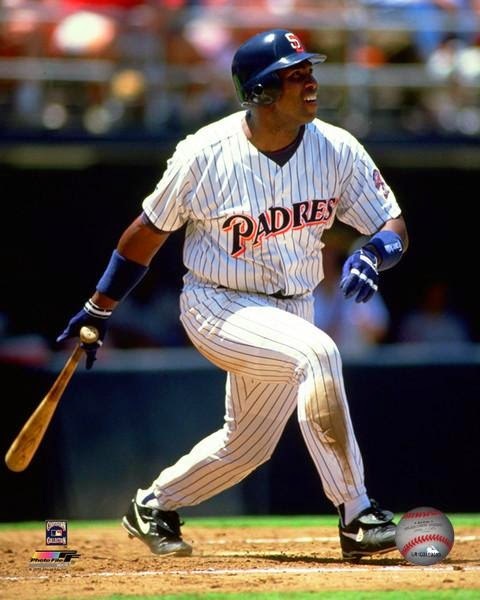 In 20 seasons, Gwynn struck out a mere 434 times. In his entire career, he only had 34 games where he struck out more than once. Tony Gwynn was also one of four players in MLB history to have 300 steals and have a career average of at least .338. He was the first and last one to do this since 1928. When the Major League Baseball strike of 1994 cut that season short on August 12th of that year, Tony Gwynn has a season batting average of .394. 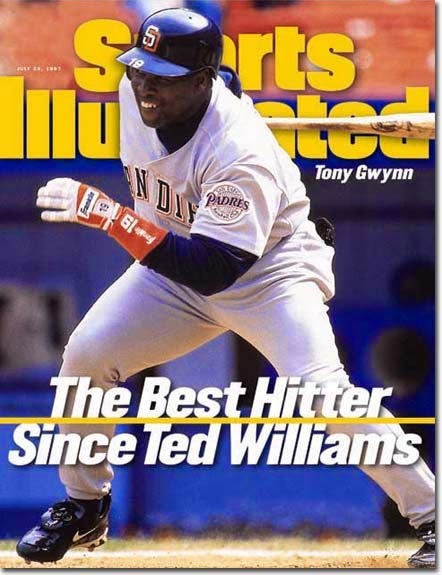 Had that season not been cut short, many (including myself and the late Tony Gwynn) believe that Gwynn would have been the first player since Ted Williams to bat .400 for a season. Tony Gwynn appeared in the only two World Series the Padres went to, in 1984 and 1998. Tony Gwynn was a 15-time all-star and a first-ballot Hall of Famer. After retiring from baseball, Tony Gwynn had a successful career as a broadcast analyst for both ESPN and TBS. Tony Gwynn coached the San Diego State Aztecs baseball team from 2003-2014. Outside of his accomplishments in baseball, Tony Gwynn and his wife Alicia started the Tony and Alicia Gwynn Foundation in 1995, which has been a pillar of the San Diego community and has raised funds for everything from children's tutoring services to job placement programs in the San Diego area. Seriously, I could write pages and pages about Tony Gwynn’s accomplishments both on an off the field, but you get the picture. For me, as a kid growing up in the middle of Red Sox and Yankee country, I was drawn to the way Tony Gwynn approached the game. He always seemed to be enjoying baseball, and his dedication to being as consistent a hitter as possible was fascinating to me. His work ethic inspired me, and I went from loving Tony Gwynn to loving the San Diego Padres, the team I still follow today. Throughout high school and college, I was the only San Diego Padres fan I knew. My room at home and my dorm room in college had pictures of Tony Gwynn adorning them. The first baseball jersey I ever bought was a Padres jersey. It was a replica with no names or numbers on it. My wife and I traveled to San Diego in 1996 to see the Padres play, and sadly Tony Gwynn ended up being hurt at the time. He was replaced by another Hall of Famer, Rickey Henderson. On that trip, I bought a Tony Gwynn limited edition picture that still hangs in my room today. I also bought my first authentic Padres jersey, a Tony Gwynn jersey that I still have and wear to this day, eighteen years after I bought it. I distinctly remember crying my eyes out in 1998 when the Padres beat the amazing Atlanta Braves to win the National League title. It was the first time that a team I loved had won anything. They went on to lose to the Yankees in the world series, but I will never forget that series with the Braves. And I’ll never forget this morning either, when a co-worker came and told me he’d heard about Tony Gwynn passing away. I’m crying as I type this, and I apologize for the rambling, but this is a tough one for me. My thoughts go out to Tony Gwynn’s family, and I hope they will feel some support from the many fans around the world that grew up watching Tony and have been lifelong fans. Rest in peace, Tony. And thank you for all the wonderful memories.